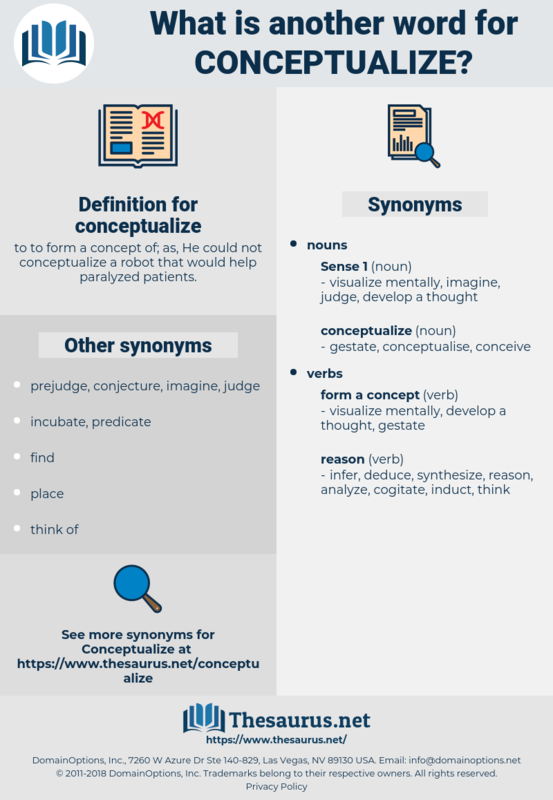 What is another word for conceptualize? 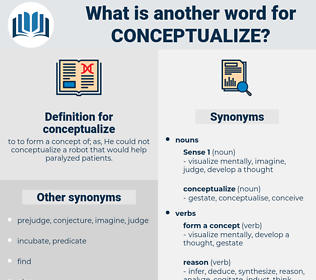 to to form a concept of; as, He could not conceptualize a robot that would help paralyzed patients. conceive, design, designing, devise, conceptualise.